After a shaky start to the DCEU with Batman v Superman and Suicide Squad, which were trashed by the critics, Warner Bros.' superhero universe seems to be getting on the right track with Wonder Woman, which has been drawing heaps of praise with some Wonder Woman early reactions calling it the best DCEU movie yet. Like all of the DCEU movies thus far, and all of the Marvel Studios movies for that matter, Wonder Woman will be PG-13, despite R-rated superhero movies becoming more and more popular after the success of 20th Century Fox's Deadpool and Logan. While doing press for Wonder Woman, director Patty Jenkins revealed there is a very specific reason that she didn't want Wonder Woman to be an R-rated movie. There was never any talk of Wonder Woman being an R-rated affair when it was in development, but the amazing success of Deadpool and Logan has started the conversation about the viability of R-rated superhero movies. 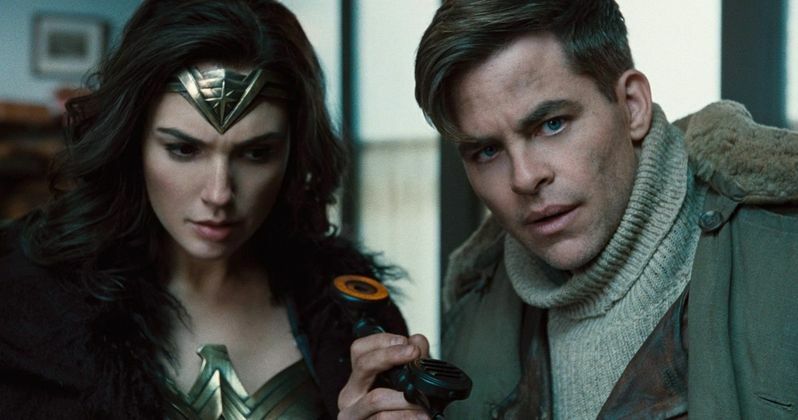 Cinema Blend caught up with director Patty Jenkins, who revealed that there was one very important reason Wonder Woman shouldn't be R-rated. Here's what the filmmaker had to say below, adding that she was even pushing for a PG rating instead of a PG-13 rating. "I cared a lot about it never being an R-rating. And I totally support the movies that do have an R-rating, but in this case I was very aware that little girls were going to want to see the film, and I was very protective of that. So it had to not be Rated R to me. I would have been happy to go for PG, but it's World War I, so we couldn't!" In related news, Connie Nielsen, who plays Wonder Woman's mother, Queen Hippolyta recently spoke with Screen Rant, revealing how much she admired working with director Patty Jenkins. The actress said she was "crazy about" the filmmaker's directorial debut, the 2003 drama Monster, where she directed Charlize Theron to her first Oscar for Best Actress. Here's what Connie Nielsen had to say about her director, Patty Jenkins. "She's also the kind of director that I really flourish under. She has very strong and particular and specific ideas about what it is she wants to say. She comes from a place of strength always. And so, when you are dealing with someone like that, you feel absolutely free to be vulnerable, to be creative, and I am a big researcher. I put a lot of effort into research and I brought all of that research back and you can always tell if somebody is interested or not, and the fact that she was interested and made sure that there was space for all of that research and space for those nuances ... every time I wanted to try something else and maybe something that wasn't even a part of it, she always not only went with it, but actually was interested in exploring further with me. This is a woman who just rose to head such a huge vehicle. You should have seen the actual size of the crew and the studio and the setups and the amount of people she was just blithely oversee everyday. It was just like when I would see Ridley standing in the middle of Malta, this fort in Malta, and chomping on his cigar and just looking happy. It was the same thing kind of with Patty. That kind of real comfort on a set." While box office predictions is never an exact science, the Wonder Woman box office tracking has been more inconsistent than most. While some predicted an opening weekend between $65 million and $80 million, others pegged its debut as high as $105 million. These reports came before the glowing early reactions to the film, and it seems clear that this movie will be much more critically-acclaimed than Batman v Superman: Dawn of Justice and Suicide Squad. Hopefully we'll learn even more about Wonder Woman as we continue the countdown towards its June 2 release.